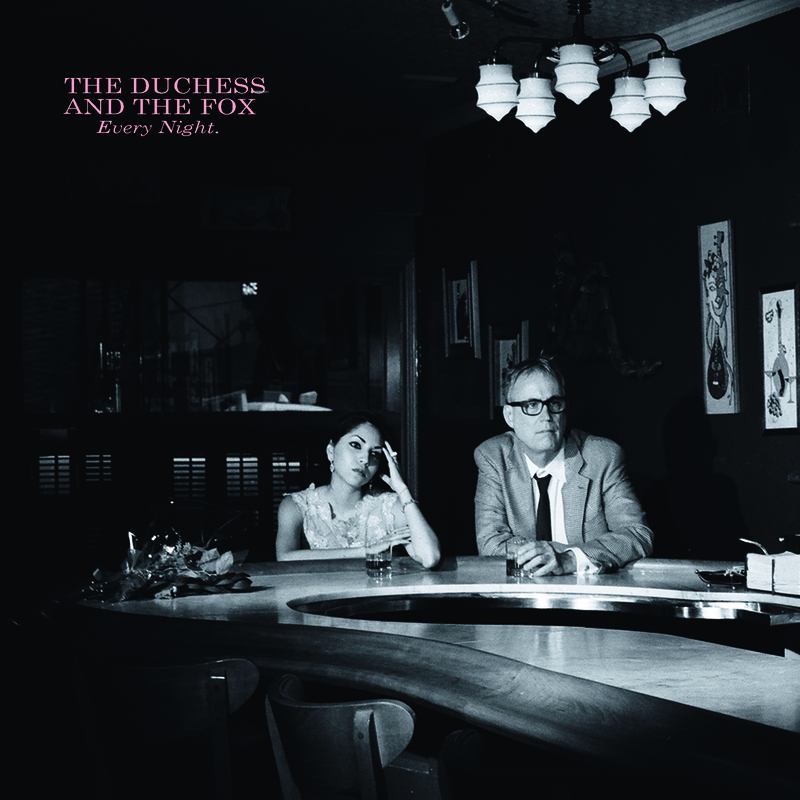 EP Review: The Duchess and the Fox, "Every Night"
The first thing that makes you sit up and take notice of the opening track to The Dutchess And The Fox’s debut E.P., the title track, “Every Night” is singer Andrea Diaz’ breathy and tingling vocals, along with the haunting piano of Joe McGinty (sometime keyboardist for The Psychedelic Furs and regular at Joe’s Pub). Every Night has five songs of a deep, dark, cinematic nature. This is serious, refined music and powerful. Aside from the dramatic texture of “Every Night”, the melody is simple and heartbreakingly beautiful. “Half Face Man” is a bit more uptempo with a raunchy sax carrying the undertone with very subtle percussion to keep the song taut and free from becoming kitsch-y; “St. Vitus” has a sweet, gentle texture with a nice touch of what sounds like oboes and vibes to elevate the melody. “Blue River” is a perfect title that paints the track like a running stream of strings and keyboards in a waltz-like dreamy state and “Vice and Virtue” is as close to modern Gershwin as I can imagine, with bold piano strokes. There’s a lot of emotion in these five songs and it’s a stunning way to enter the modern music pool – mired in tradition and skill in a time when it’s fashionable again to not focus on the strength of the songs. Thought and precision went into the writing and performances; these are finessed and nuanced and that it’s as barebones as delivered makes it even more of a pleasure to listen to and absorb.